One of the things I admire most about Los Angeles is its history. 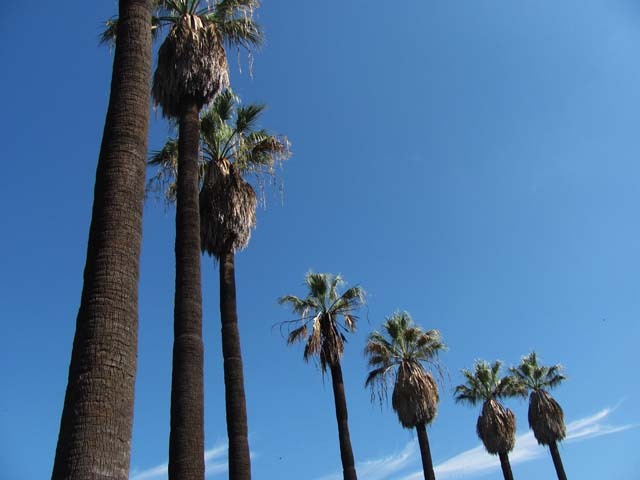 Though relatively young--California itself only became a state in 1850--the impact of this area is staggering, everything from inventions to innovations to style. As a lover of film, I am constantly in awe of the fact that I live in the same city where that industry was born over a century ago. It all seems like sacred ground. Wherever one goes, there are reminders of the Golden Age of Hollywood. Someone has lived there. Played there. Worked there. Filmed there. I recently wrote about Sunset Boulevard (1950) which, like many other film noir, features classic Los Angeles locations. I've visited several of these historic places for GlamAmor--including Union Station, City Hall, the Bradbury Building, and Angel's Flight. 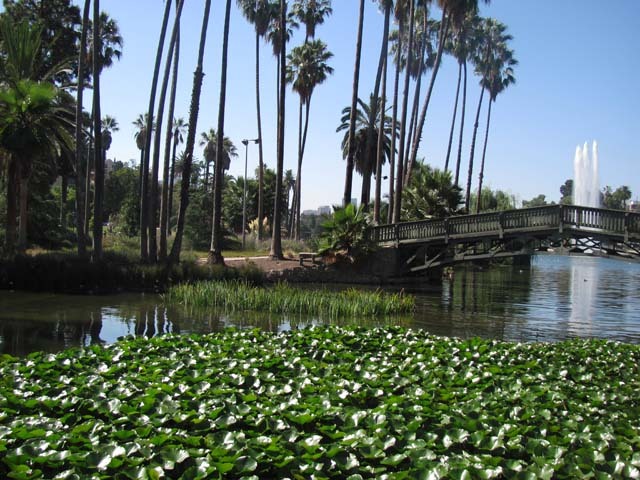 And a few weekends ago, I took a tour of the lake at Echo Park. 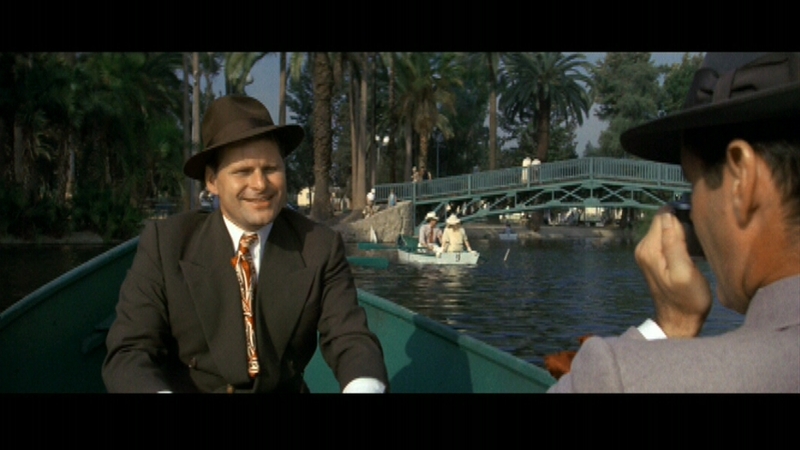 Many will remember Echo Park Lake from the neo-noir Chinatown (1974) where Jake Gittes (Jack Nicolson) rides in a rowboat to follow and photograph his client's husband. But the lake began far less glamorously--simply known as "Reservoir #4" and intended to be a source of drinking water for LA. Back in 1868, a ditch was dug from the Los Angeles River through the Arroyo de las Reyes that then emptied water into the reservoir. 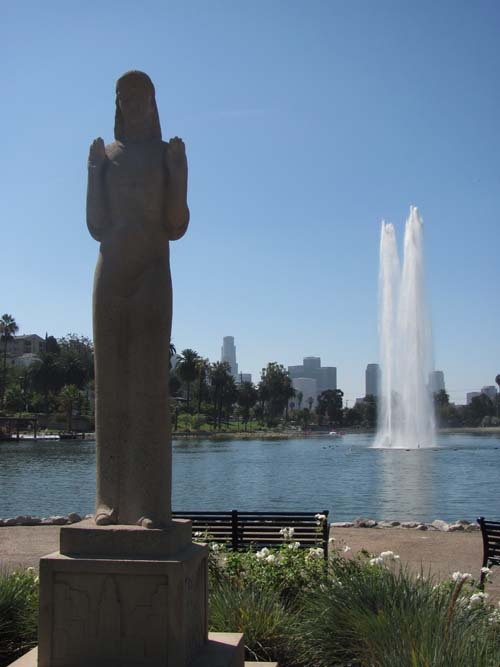 Once filled, it became the largest body of water within LA's city limits. 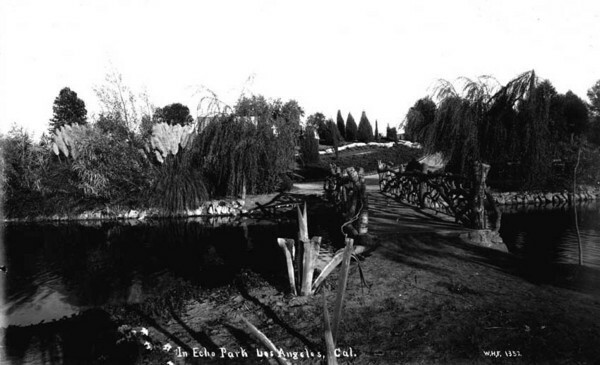 Workers could hear an echo when calling across the ravine, so the entire area became known as Echo Park. However, "Reservoir #4" soon ceased to be useful as a water supply, and then not profitable as a power supply either. 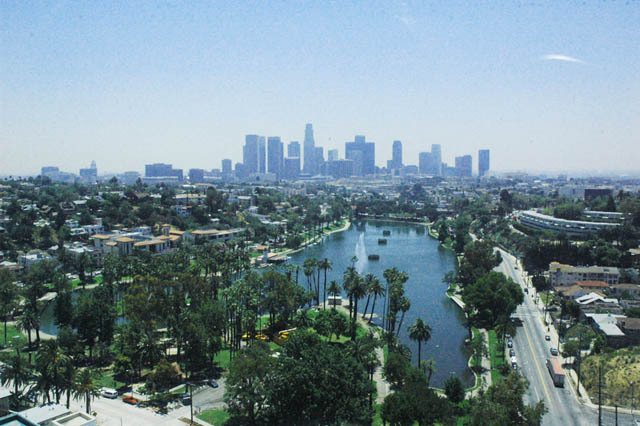 Because the city was growing, discussions quickly turned to developing real estate around the water in Echo Park. 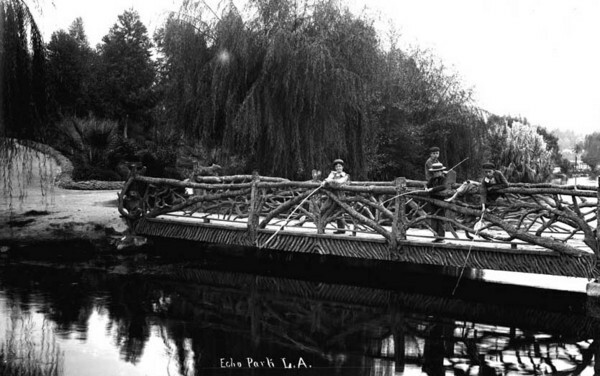 At this early point in LA's history, this was still called the "West End"--today, Echo Park is among those cities considered "Eastside," not "Westside"--and a park promised to increase interest and value to the area. 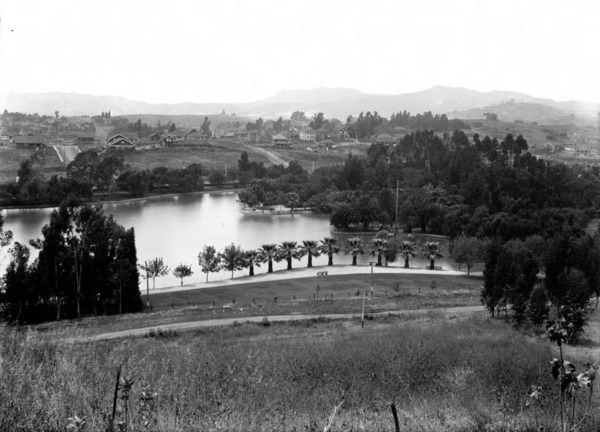 In 1891, Mayor Henry Hazard signed papers to allow the reservoir to be converted into a park. 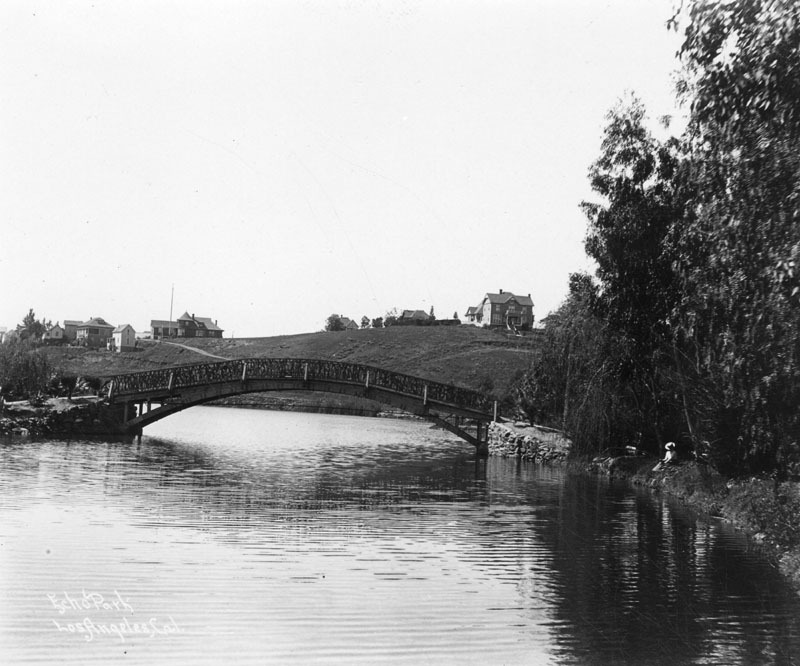 Major changes began in 1892--first, transforming the reservoir into a reinforced man-made lake and then creating an island within it, building a boathouse and bridges for it, and landscaping acres and acres around it. 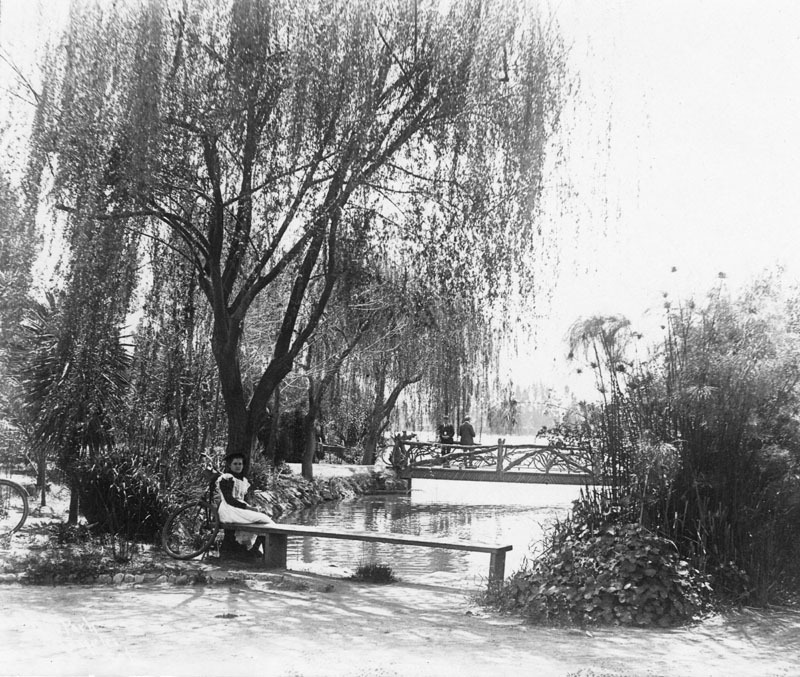 Finally, the park was completed and opened to the public in 1895. The greatest period of growth for the park was between 1905 and 1935. At this time, the city was booming due to the influx of the new film industry--first as part-time visitors from the East Coast and then as permanent full-time residents of the West Coast. 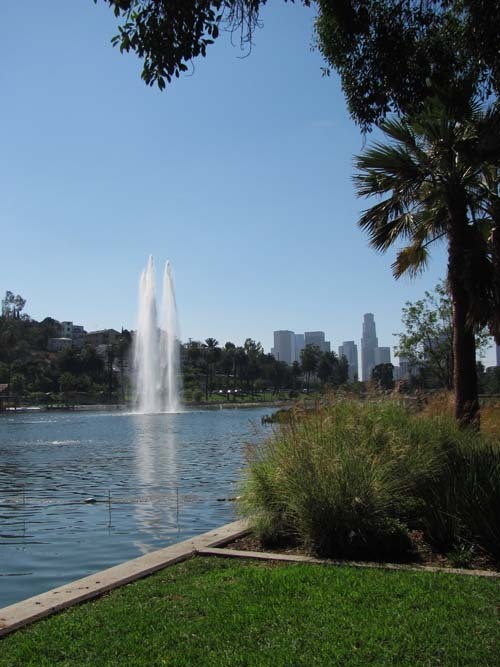 Keystone Studios, run by legendary producer Mack Sennett, was located very close to Echo Park Lake. Known for the "Keystone Cops," the studio also made names for Charlie Chaplin, Mabel Normand, Gloria Swanson, and Roscoe "Fatty" Arbuckle. 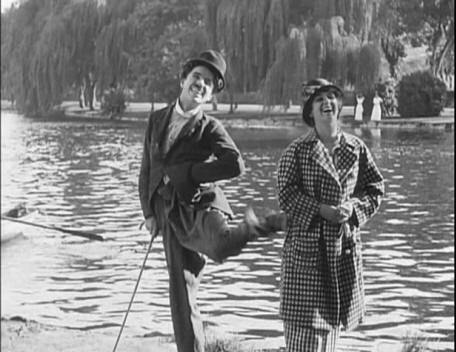 Sennett would produce about 1,100 pictures, and often used the park and lake as filming locations. You'll see two movies with Chaplin below. By the late teens, though, city leaders accused the studio of trampling too many plants in the park and banned Keystone from ever using it again. 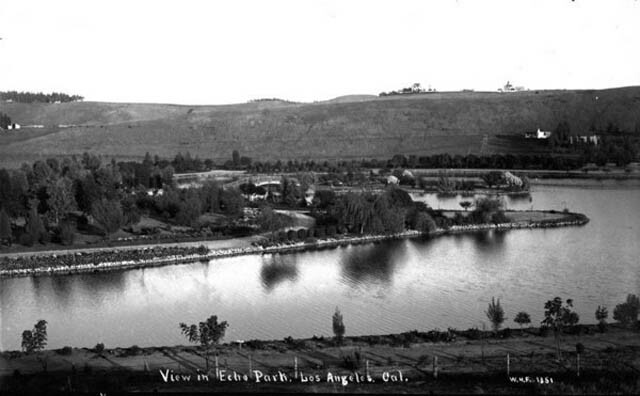 During the 1930s, there were many changes at Echo Park Lake. Spanish style homes had come into fashion and sprung up all around the park's perimeter, so suddenly the original Victorian boathouse seemed a bit outdated. 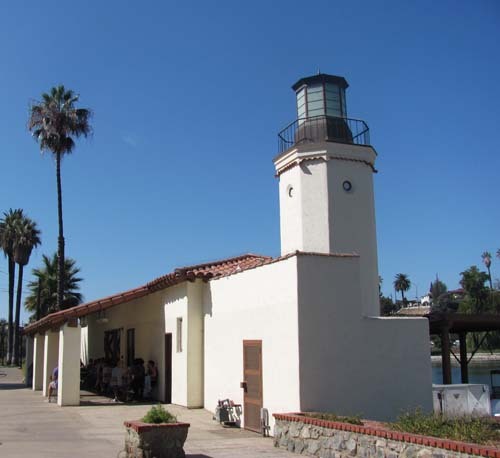 And so, in 1932, the old boathouse was replaced with another that had a working lighthouse and designed in the Spanish style. 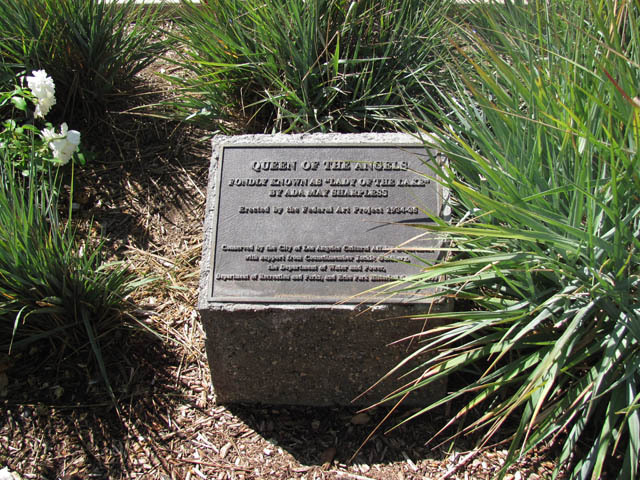 Yet another feature that was added around this time was the Queen of the Angels statue--also known as the "Lady of the Lake"--which was erected in 1934. Both the statue and boathouse still stand and have become signatures of the park. 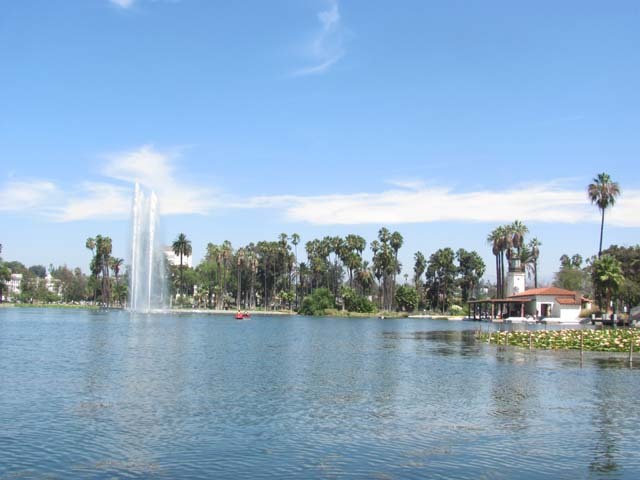 After many years of being part of the city's recreational center, Echo Park Lake started suffering from misuse and neglect and fell into great disrepair. 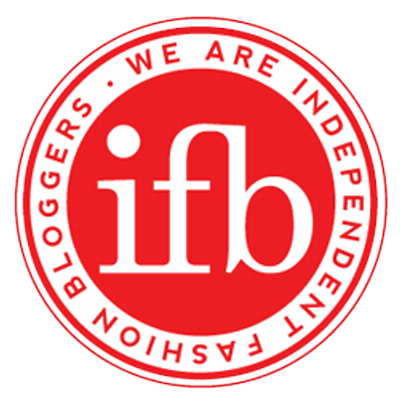 But in 2006, there was a dramatic reversal of fortune. First, it was declared a Cultural Historic Monument. This landmark status was well deserved, and also offered the park protection while the city planned an enormous rehabilitation project. 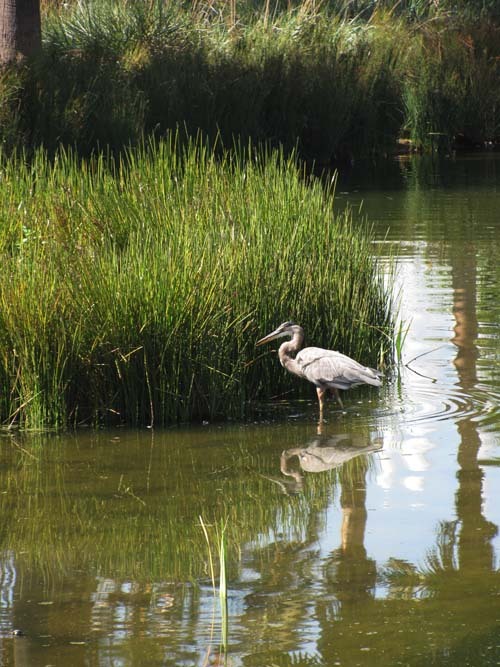 Today, what was once a reservoir is now a lake with a sustainable wildlife habitat. 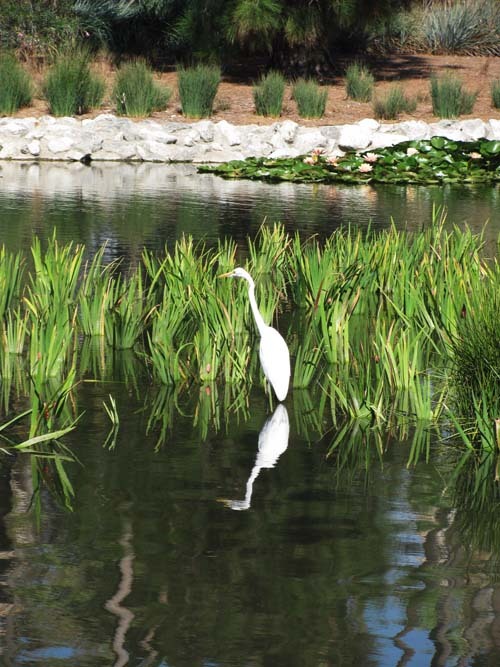 It is also designed to prevent water pollution as a valuable part of LA's storm drain system. 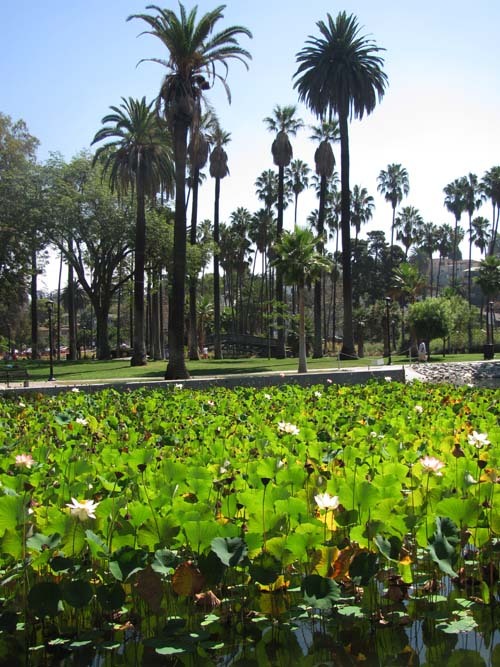 Echo Park Lake now blends its rich history with a stunning sanctuary that offers a wide variety of fauna and flora to admire. 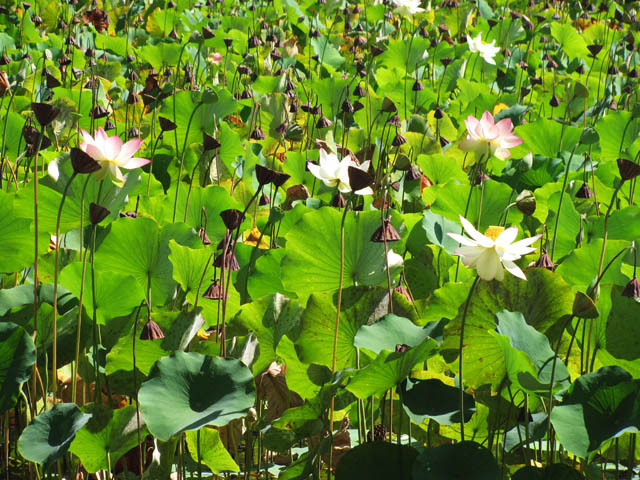 Some of these are the famous lotus blossoms, which have mysterious origins back to the earliest days of the park and are celebrated each year in a festival. As you'll see, these flowers and many others were in bloom during our visit. 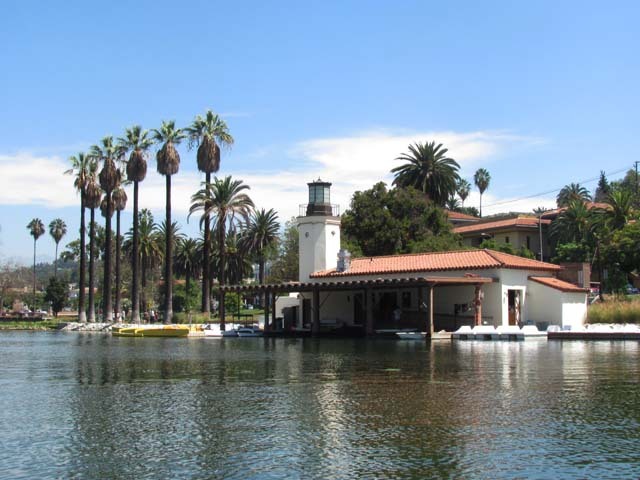 So join me now as I take you on a ride in a rowboat as well as a walk through history at Echo Park Lake. 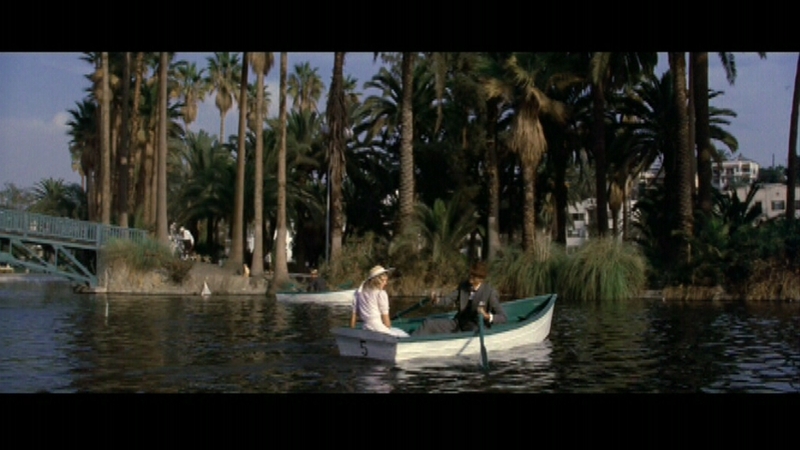 In Chinatown (1974), Jake Gittes (Jack Nicholson) and his associate follow the mystery to "water again"
and often called "Lady of the Lake"
Beautiful recap of the history of Echo Park and its lake, and a wonderful collection of historic and modern pictures. Thank you for the article. Oh, what a LOVELY visit you've given us! I never knew any of this and you made it so vivid and alive. 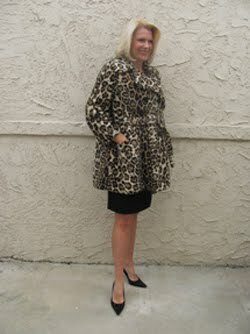 Love the Hollywood heritage, of course, and the wildlife. Wonderful work, Kimberly! Thanks so much, Jose! 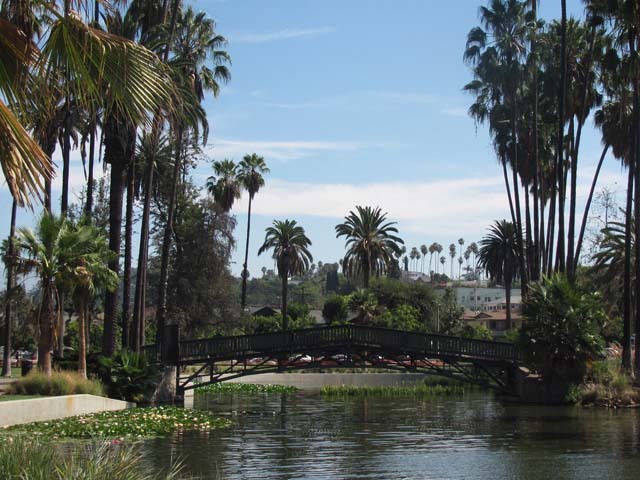 Happy to share just some of the ways that Echo Park is great, and what it means to the city and our history. Appreciate the compliments. 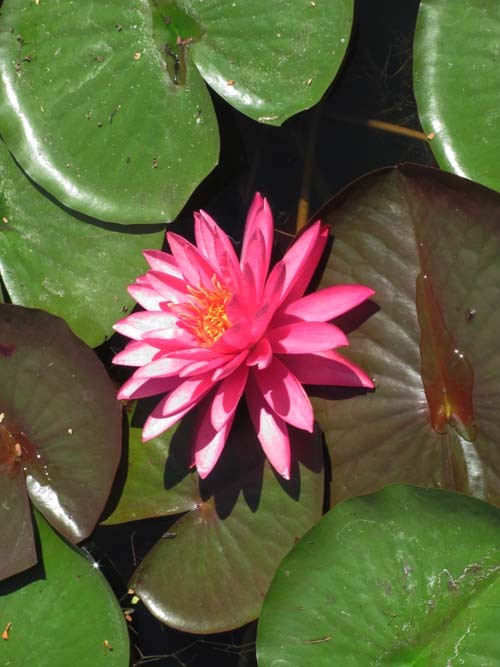 Those lotus blossoms are gorgeous! The colours are so vibrant. 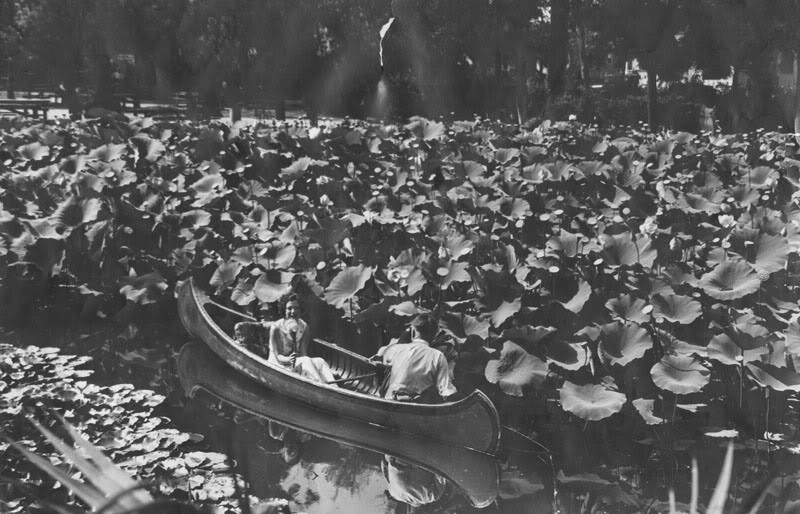 I was stunned to see the size of those leaves in the photo of the couple canoeing in the 1930s. I had no idea they grew so large. All of the different bridges that were built/torn down look in beautiful in the photos, but my fave is the original bridge. It is rustic, but I love the design. 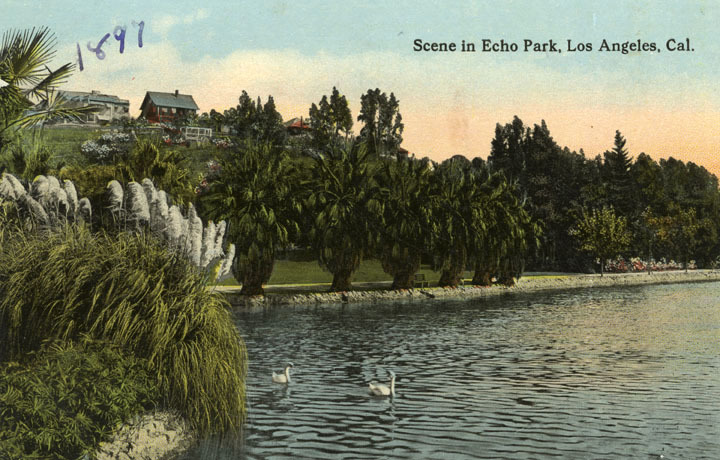 Thanks for sharing some history of Echo Lake. Thanks Ruth! Always love seeing you here. Isn't that rustic bridge charming? It's too bad that they couldn't find a way to preserve it, but I can only imagine the challenge of that. And yes, the flowers were GORGEOUS! I was so impressed by it all. 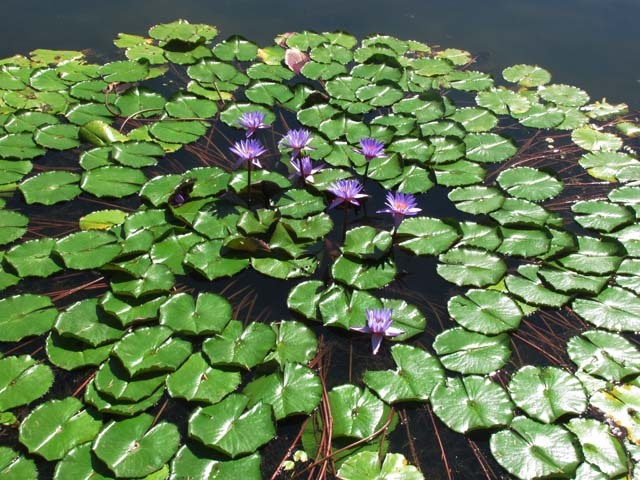 That pic from the 1930s of them rowing in the midst of the lotus blossoms was incredible (can't do that anymore, by the way--it's all protected). I wouldn't say they're quite that big right now, but they're still a lot more substantial than I would think. Just a huge bed of them! 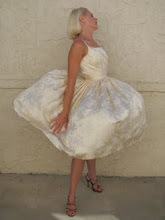 Thanks for this post on Echo Park Kimberly - my old neighborhood. 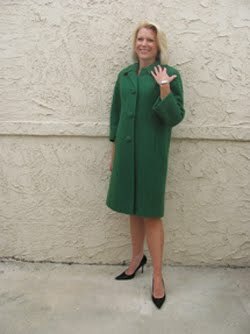 I went to Echo Park elementary school and I spent lot of time at the park or just crossing it coming and going. After a major lake refurbishment it looks better than ever. 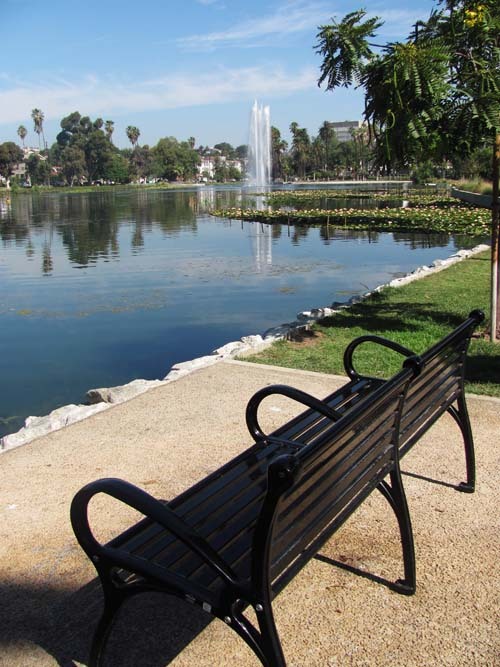 What a lovely historical recap and tour of Echo Park Lake, Kimberly! 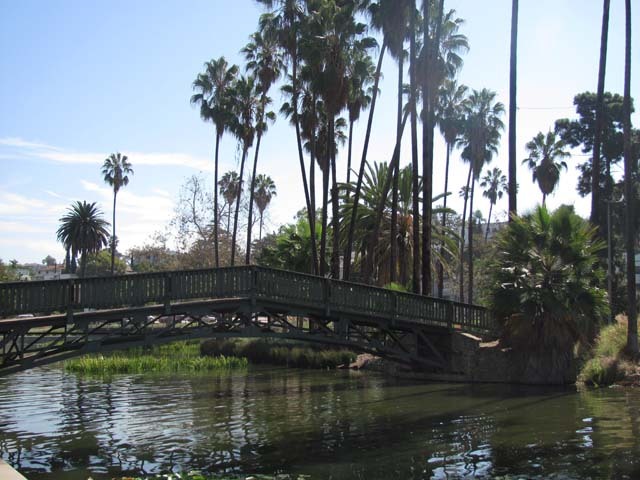 If memory serves, the park was in decline when I lived in L.A. (the '80s). So nice to see that it's beautiful once again - and now protected. 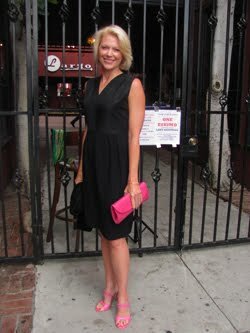 Thanks Patty--love seeing you here! How funny that both you and Christian lived in this area. 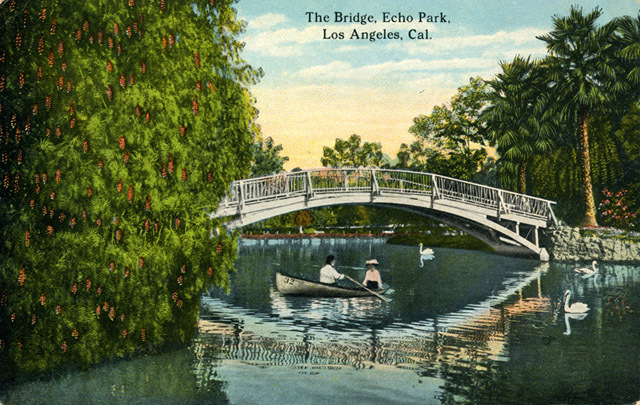 Truth be told, I avoided going to Echo Park Lake for years because I had heard it fell on hard times and I didn't want to be disappointed. 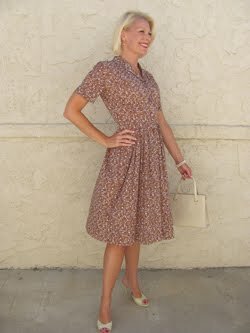 But I finally couldn't wait any longer and and went without even knowing about the rehabilitation project! I was absolutely stunned by how beautiful it is now. So peaceful. You and Christian should definitely take a visit there again.